I’ve been invited to the launch of FREEinINANDA next week – an adventure into the Inanda Valley – I can’t wait! The FREEinINANDA initiative is powered by Africa!Ignite and Durban Green Corridor, in partnership with Durban Tourism, Woza eNanda and the local Community Tourism Organisation. It is the culmination of a project to develop exciting new routes through the Inanda Valley which Durban Green Corridor – a socio-economic and environmental development project of eThekwini – has been working on over the past 5 years. These include trails, canoeing, mountain biking and guided walks which will give visitors have access to fun, safe tourist attractions right on Durban’s doorstep. You too can enjoy FREEinINANDA for FREE between 1 – 10 May 2015 – you’ll be able to get active on the water or the trails around the Inanda Dam and surrounding mountains, feel the local pulse by meeting friendly people, listening to jazz or eating and drinking locally, or you can rediscover Inanda’s heritage sites, as a reminder of why Nelson Mandela chose to vote here, in the true cradle of South Africa’s freedom. You could also win a helicopter flip over the Inanda Valley! To stand a chance of winning a helicopter ride over the valley, as well as a picnic on the mountain, share a unique, quirky, fun, special picture of yourself, exploring the beautiful Inanda Valley and then share it on twitter or facebook using the hashtag #FREEinINANDA. Deadline for entries is the 12th May 2015. 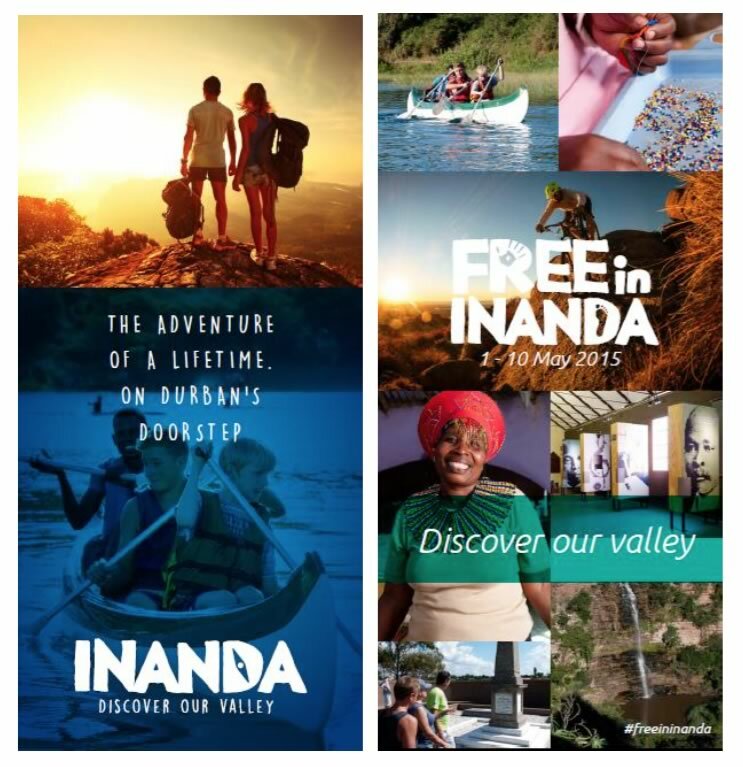 FREEinINANDA launches on 1 May and runs through until 10 May 2015. Thereafter, a small fee will apply for certain experiences and guides – so head into the Valley before 10th May to take advantage of this great offer – or plan your own escapade thereafter. Visit the Durban Green Hub at the mouth of the Umgeni River or the WOWZULU Marketplace at the Ohlange Institute for more information and to hear stories – you’ll be able to pick up a guide & find out where to go.